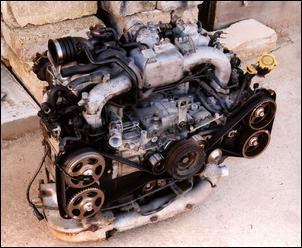 Just read your story on "Ticker Transplant" putting a JDM spec WRX engine in a '94 model. In December last year I did the same thing with sensational results too. (My car is featured in Readers' Cars) The engine I used is a MY00 version, so I had a few extra mods to make it all work - but it was worth it. Running just 12 psi I had the ChipTorque chip remapped and found the car to be putting out 138kW at the wheels (standard WRX approximately 100kW). The other startling result was that I now had full boost on my dinosaur TD05 turbo at just 2900 rpm. The joys of increased compression ratio! I have recently fitted a FMIC and with no additional programming the car is now making 155kW and inlet temps have dropped from a max of 80 degrees Celsius to 39. Yes, the high comp engines certainly seem to do the trick (although high comp turbos aren't considered great from an all-out power point of view). We attended a dyno day recently where a standard Subaru Liberty B4 made 128kW at the wheels, so we guess that puts into perspective how good the stocker Japanese-spec high comp engine is. It seems we Aussies have been getting ripped off all these years! At the time when Julian first introduced his "Audi Boost Control" set-up I was driving a Holden VL turbo. I liked the idea of the tunability of the system and was frustrated by the boost dropping at higher rpm when using a bleed; however, I was not confident that that it would work. The problem - as far as I could see - was that by using a regulator and maintaining a constant downstream pressure, the wastegate would effectively be held in a constant position. I was unsure how this was going to affect the boost response so, rather than buying all the equipment required for the "Audi Boost Control" set-up, I first bought a pressure regulator and tested it similar to the way Michael describes in "Michael's Speed Zone." I found very similar results to the ones Michael reported, so I didn't buy the rest of the gear and went back to a bleed. I found the best solution (without closed loop control) was obtained by placing a restriction in front on the bleed. This had the effect of reducing the boost 'spike'. Also the difference in peak boost between different gears was reduced. The greater the restriction I could use without actually blocking the control line, the better the results appeared to be. Aftermarket bleed valve boost controllers like the one used by Michael incorporate a restriction before the bleed so they generally work quite well. Accurate boost control is lot harder to achieve than people seem to think. AutoSpeed has used separate restriction/bleed systems quite successfully in the past too, but we think it partly depends on the specific vehicle (such as the size of turbo). Hi guys - first up I would like to congratulate you on your efforts.... consistently excellent and always informative. I must confess, though, I am actually hoping someone there can help me. I have just finished reading your article about the Mercedes driver training "Look No Hands" and am dead keen to give it a go. I tried calling the 1800 number listed at the end of the article but got a message saying it was not connected. Any idea how I can find out more about this course? That story was done probably three years ago, so it's quite possible the scheme has now been discontinued. 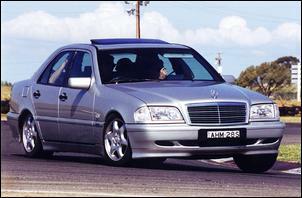 If you're keen to do a course, we suggest contacting local car clubs or car companies - perhaps Mercedes. One of the things that I appreciate about your site is the fact that many of your suggestions/projects are designed for those with limited budgets and not those with endless amounts of cash - therefore, is it possible to do an introduction to working with carbon fibre for those of us who would rather make things ourselves? Simon, thanks for the email - glad to keep you sane... For sure, carbon fibre has become "important" in the modified car scene. Unfortunately, as yet, we haven't been able to find anyone DIY-ing carbon fibre. This is a subject we've had on our 'to do' list for a while, and we'll continue keeping our eyes and ears open! 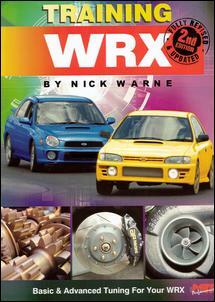 Thankyou for reviewing my book "Training WRX 2nd Edition". As you surmised, the book is aimed at the tuning neophyte, not the expert. In fact one purpose of the book is to protect the newbie from a few self-proclaimed experts! You commented on the copyright. This was asserted in a way that gives MRT and myself an equal share in the book. In fact the technical info is theirs, the choice of words is mostly mine. Many thanks for the website, which I enjoy immensely. Cheers. Oops - page one is now fixed.